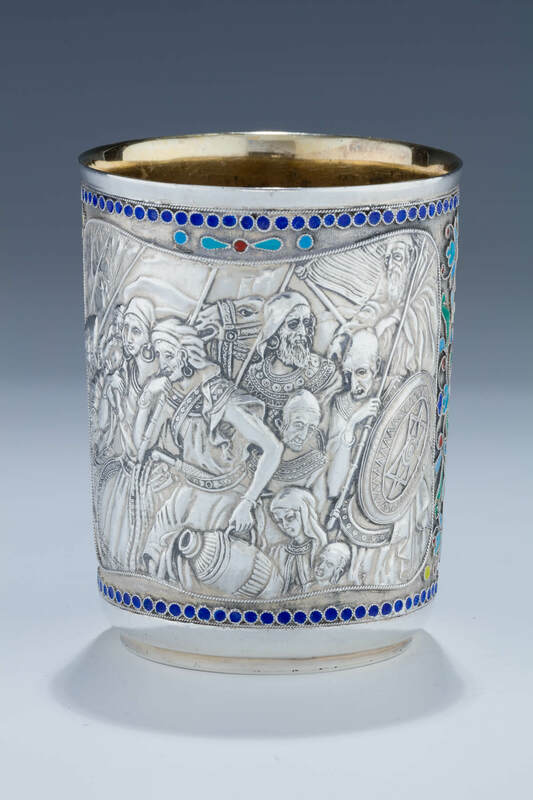 A MASSIVE SILVER AND ENAMEL KIDDUSH BEAKER BY HENRYK WINOGRAD. New York, c. 1990. Decorated with a scene of the Exodus. 4.4” tall.